As much as we’d love to say that buying and selling a homeis as easy and romantic as the movies make it appear, the fact is that there is a lot of work that goes into the process. From the seller’s standpoint, there’s cleaning, updating, and renovating the property. Fact is, even seasoned homeowners lose thousands of dollars because they didn’t know about the important factors. The good news is that these potential complications are easily avoidable with just the proper attention to detail and a proactive approach. Dirt is one of the easier culprits that tend to creep up on a property, in all types of unexpected places and crevices. Flooring is one of the most visible areas of your home where it can collect. If your carpet is worn or dirty, get it replaced or cleaned. If you have vinyl flooring with corners coming up, get it glued down. If you have a deck, power wash it. All of these are easy and inexpensive fixes to prevent a potential buyer from being discouraged. Walk through your property with a clip board, and try hard to see it with buyer’s eyes. Excess clutter is a big buyer turn-off. You are planning to move anyway, so you might as well pack away personal items that may turn off buyers. This includes nick-knacks, furniture, pictures, wall hangings, plants, etc. This also allows them to imagine their own belongings in the home. Some experts suggest clearing out 50% of the furniture and accessories in each room! Because homeowners become desensitized to their own odors in their homes, they rarely realize how obvious odors can be to visitors. This is particularly true of pet owners and smokers. An easy way to take care of this is by traditional means of candles, potpourri, and air fresheners. Flowers are also a way to add a soft aroma with a touch of charm. Personality is great, especially in your home. But that’s just it, it’s no longer going to be your home. With that in mind, it’s important to give the potential seller a clear palate. Allow some white space and openness for their imagination to flow. Instead of them checking out the photos of your family vacation, let them picture their own photos gracing the walls. Buyers need to imagine how they can make your home, their home. When the outside of your home is attractive and well maintained, you’re guaranteed to have an increase in the number of buyers who stop in and take a tour. So take a walk away from your home. Then walk toward your home the way a potential buyer would. Is the doorway inviting? Are the windows clean? Maybe add a blooming pot of flowers by the front door. Notice the roof. Is it in good condition? Make a list of items that need attention. Inspecting your property the way a buyer would will better improve the ease and quickness of your home being sold. You’ve gotten used to the old, peeling trim on your bathroom light fixtures or that ceiling fan decorated with stickers in your daughter’s room. Outdated fixtures are some of the least expensive things to replace, but sadly, the most overlooked by home sellers. Take a critical walk through your home, removing nostalgic thoughts or emotional ties and make a list of old fixtures that need to be replaced. Yes, these were the rage in the 70′s, but those days are long gone. What a buyer sees when they look at a popcorn ceiling is dollar signs and work. 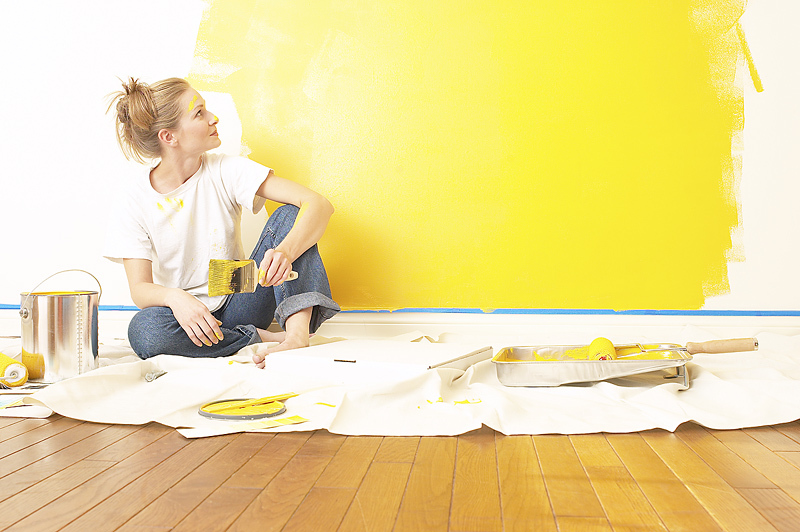 Do yourself a favor and either do the work yourself to get rid of the outdated look, or be prepared to credit a potential buyer. When your home is being shown, get out of there! Take a walk, run some errands, but remove yourself and your kids and your pets from the home while potential buyers are touring. Nothing is worse than the owner following buyers around, adding their comments. Buyers need to feel free to discuss the home with each other, pointing out flaws and concerns, without fear of offending the current owner. An agent won’t be able to make additional points or help the buyer to work through their apprehensions with the seller lurking. Be honest! There is clearly a difference between listing photos that show rooms and features in their best possible light, and photos that are just plain misrepresentations. If you have something to hide and you choose to conveniently leave it out of your photos, you are going to just aggravate your potential buyer. You will also cause buyers to wonder what else you’ve got to hide. Any form of misrepresentation just builds suspicion and mistrust. Disclose, disclose, disclose!